The End of First Access! First of all, I want to thank all of you that participated in our First Access program on itch.io! It was a great success in terms of building a community of people that were interested in having an impact on the game's development. We received a lot of great feedback and ideas and I truly believe that the game would not be where it is today without that input. Now we are turning our attention to the launch of the game on Steam, which means that it's time to officially end the First Access program! We will continue selling keys through the end of the month of June, at which time we will disable updates to the itch.io version of the game. In July, we will begin distributing Steam keys to First Access buyers and all updates will be done there. If you are interesting in helping set the final direction, trying out the game, finding and reporting bugs or just getting that Steam key early, then please feel free to buy a key while they are available. Alternatively, you can sign up for our mailing list or wishlist the game on Steam. We are pushing forward toward a mid-August "final" release on Steam (and possibly other platforms as well) and are really excited to share the last few builds with our First Access buyers on Steam! In case you missed it, we got a nice preview article in PC Gamer recently! Launch Day and Build 46/47 Details! Build 44/45 - Almost Ready for Launch! 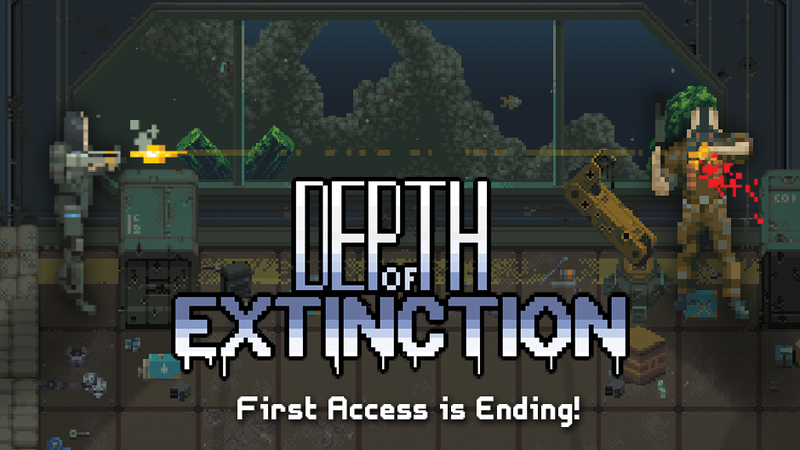 I enjoy playing Depth of Extinction, and I appreciate that you support Linux as target platform. Also, one of the reasons for me to support your game was that you offer a DRM-free build on Itch. Don't get me wrong, I wish you the best of luck with your Steam release. But I'm quite unhappy that you don't want to continue updating your Itch repository. Thanks for the feedback. If it seems like there is demand to keep updating here on itch, then we will probably do that. We will definitely have at least one (and possibly multiple) DRM-free option at launch aside from Steam so you should be safe to get the final game for sure. Thanks for your answer. I'm happy to hear that. Congratz for releasing a (good) game ! Thanks but let's hold off on the champagne until after August!